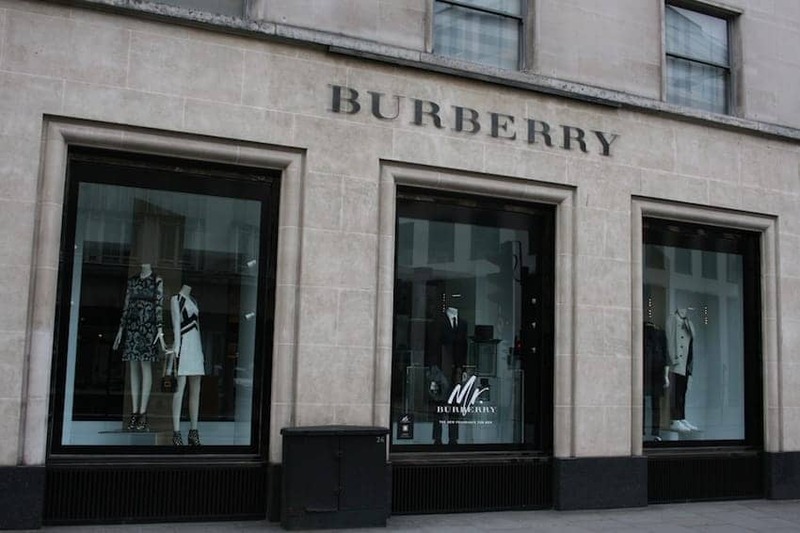 Since founding the brand in 1856 Thomas Burberry opened the first store in Basingstoke and moved to London Haymarket in 1891. Burberry attire was made popular by early 20th century global explorers, naval and military officers and later for its winter sportswear and ladies and gentlemen's outerwear. This also included the timeless made-for-English weather trench coat. At the flagship Regent Street store customers can see the whole range of Burberry products in women's, men's and children's lines as well as scarves, home, gifts and personalized monogramming services.